Are you searching for a lightweight pair of work shoes? You aren't in need of a tall, heavy pair of men's boots, but you need the safety that comes with a working person's footwear. Fortunately for you, these Reebok Men's Sublite Cushion Lightweight Alloy Toe EH RB ... (see full details) (see specifications) #RB4041. Are you searching for a lightweight pair of work shoes? You aren't in need of a tall, heavy pair of men's boots, but you need the safety that comes with a working person's footwear. Fortunately for you, these Reebok Men's Sublite Cushion Lightweight Alloy Toe EH RB4041 Black Athletic Oxford Shoes can fit all of your requirements and desires in a pair of men's shoes you can take to the workplace. They feature safety alloy toe caps for your protection, as well as an electrical hazard rating for additional coverage. In addition to having the comfort of your feet in mind, Reebok also had your safety in mind. These alloy toe shoes were rated on Reebok's scale for resistance, and the ratings go from good to better to best. They rate "best" in the slip-resistant category. They rate as "better" in the following three categories: oil resistance, abrasion resistance, and chemical resistance. Finally, they rate as "good" for resistance against metal chips and heat. For defense against hazards, these slip-resistant shoes include an alloy toe and rubber outsole that qualifies this pair to meet ASTM F2413 I/75 C/75 EH safety standards. 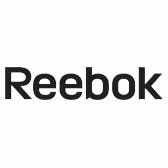 The Reebok footwear was tested and found to be able to protect you from impact (I/75) and compression (C/75) up to 75 lbs. They also were tested for electrical hazard (EH) and passed, which means they can protect you from 18,000 volts of electricity. In these athletic shoes, your toes will always be safe. These Reebok Sublite shoes were crafted with the needs of your feet in mind. They include a SubLite EVA cushion midsole and a Memory Tech Massage removable cushion footbed insole. The SubLite EVA cushion and Memory Tech Massage footbed are incorporated in the make for superior softness and support. The Memory Tech Massage footbed forms to meet the contours of your foot for comfort specific to your individual feet. The SubLite foam features deep flex grooves for improved mobility in addition to enhancing your feet’s comfort. The upper is constructed with mesh webbing for breathability and moisture transfer, which allows your feet to be cool all throughout the wear. Reebok knows how to please your toes. Maybe you're wondering, how could these men's alloy toe EH shoes possibly be lightweight with so much padding and cushion included for your comfort. Well, these Reebok athletic shoes are incredibly lightweight, and we'll tell you how. Each shoe weighs in at approximately 350 grams, and they have various characteristics to achieve such a low weight. The previously mentioned SubLite foam midsole's full-foot flex grooves aren't just great for comfort and mobility. They also make the alloy safety toe shoes extremely light. Other features that make the black shoes lightweight can be found in the outsole in the form of rubber pads at the forefoot and heel. The rubber pads give the shoe traction without the traditional heavy outsole. Finally, the upper of this men's athletic footwear features no exposed metal, making them immensely light and flexible. Finally, these black reebok athletic oxford shoes are made with a low-cut design. It gives them a sleek, athletic look and allows for greater mobility. You couldn’t ask for more in a pair of lightweight work shoes. These Reebok Men's Sublite Cushion Lightweight Alloy Toe EH RB4041 Black Athletic Oxford Shoes from Working Person's Store are immensely comfortable while great at keeping you safe. Don’t pass on this great Reebok athletic work footwear, and add these to your collection today. These shoes look so good I think about wearing them outside of work. My other work boots and steel toes I would have to change. Thinking about buying another pair in a different color. Over all very comfortable all day working shoes. The Reebok Oxford shoes are hands down the lightest safety shoe I ever had, and I've been wearing safety shoes for a long time. Reebok's shoes are traditionally narrow, I recommend ordering extra wide for those with wide feet. Very comfortable and breathable shoes. These shoes have nice cushioned insoles, but no arch support. I would recommend these to people walking around the shop floor where safety shoes are required. People are talking how they like the shoes and how they want to use them for working out and maybe get another for work. The shoe is a great buy and all around quality for work, home and on the job. The shoe makes a statement for people who use them, and no more aches and pain with the sole combination. Reebok Shoes: Men's RB4041 Black EH Alloy Toe Athletic Oxford Slip-Resistant Shoes is being added to your cart.